Come to the church house to see the display of beautiful watercolors by Lisa Brown, the artist who will be facilitating the Women’s Spring Retreat. 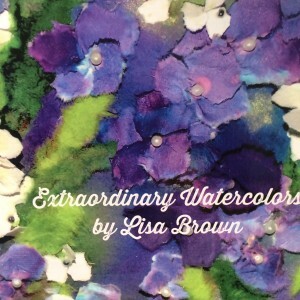 Lisa’s art reflects all the beauty of nature including water, landscapes, flowers and mountains. Her artwork also incorporates elements that enhance the picture with texture such as seed pearls and tissue paper. This display really puts you in the mood for spring!